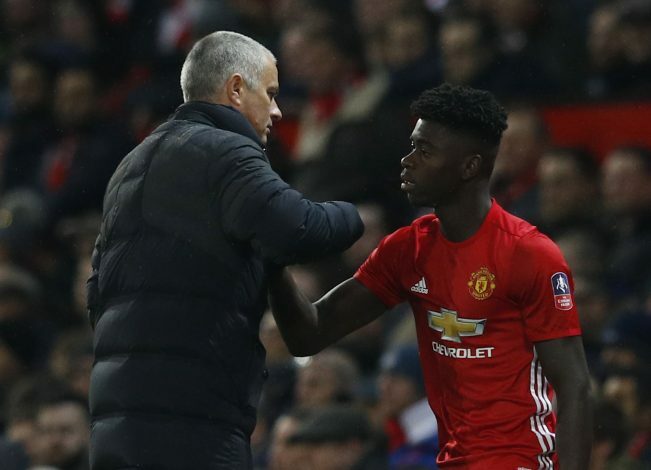 Manchester United‘s young defender Axel Tuanzebe has penned down a new deal with the Old Trafford outfit that will keep him at the club until the summer of 2020. Tuanzebe came on as second-half substitute in Man United’s 4-0 FA Cup win over Wigan on Sunday to make his competitive first team debut. The 19-year-old defender is considered as one of the brightest young prospects and Man United boss Jose Mourinho was full of praise of the academy product. Speaking to the club’s official website, Mourinho said: “Axel is a young player with great potential. We brought him up to the first team to give him more experience and he has adapted really well. A new #MUFC contract for Axel Tuanzebe! Tuanzebe, who has signed a new three-and-a-half-year contract with the option to extend for a further year, has been with Man United since joining the club’s youth academy system at the age of eight. The Congolese-born English defender said: “I have always been a Manchester United supporter so I am naturally delighted to have signed a new contract. To make my debut at Old Trafford in the FA Cup was a very proud moment, both for me and for my family.